André Aciman is a distinguished professor and the executive officer of the doctoral program in the comparative literature department at the Graduate Center of the City University of New York. Before coming to the Graduate Center, he taught at Princeton University and Bard College. His specialty is in sixteenth- and seventeenth-century English, French, and Italian literature. He teaches the history of literary theory, the work of Marcel Proust, and the literature of memory and exile. He is the author of the memoir Out of Egypt, for which he won the 1995 Whiting Writer’s Award. 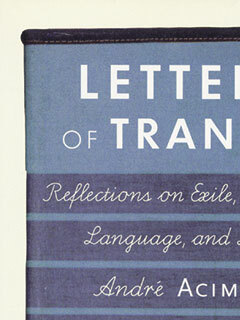 He edited Letters of Transit, published by The New Press. He is the recipient of a Guggenheim Fellowship and a fellowship from The New York Public Library’s Cullman Center for Scholars and Writers. His work has appeared in the New York Times, the New Yorker, the New York Review of Books, the New Republic, the Paris Review, as well as in many volumes of The Best American Essays. He lives in New York City.